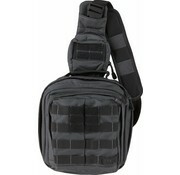 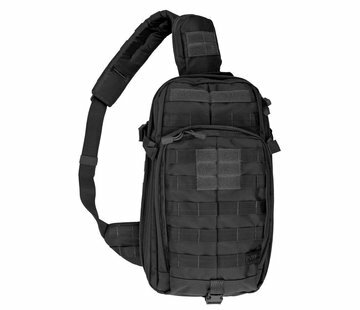 5.11 Tactical RUSH MOAB 6 in Black. 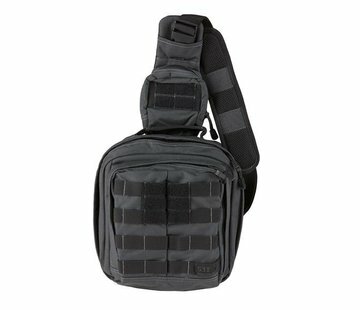 The MOAB 6 (Mobile Operation Attachment Bag) is part of the RUSH series of premium quality gear packs from 5.11 Tactical. 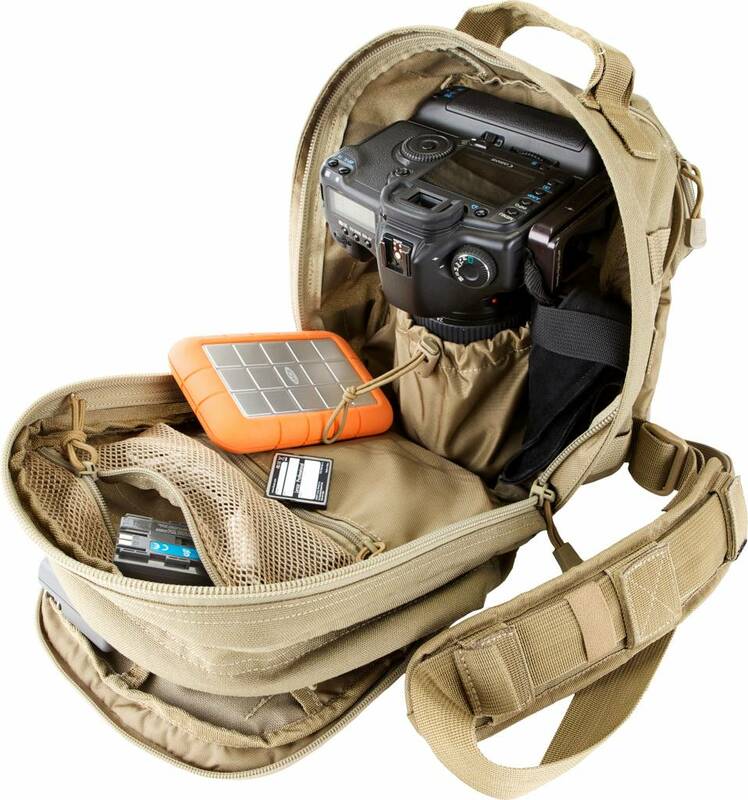 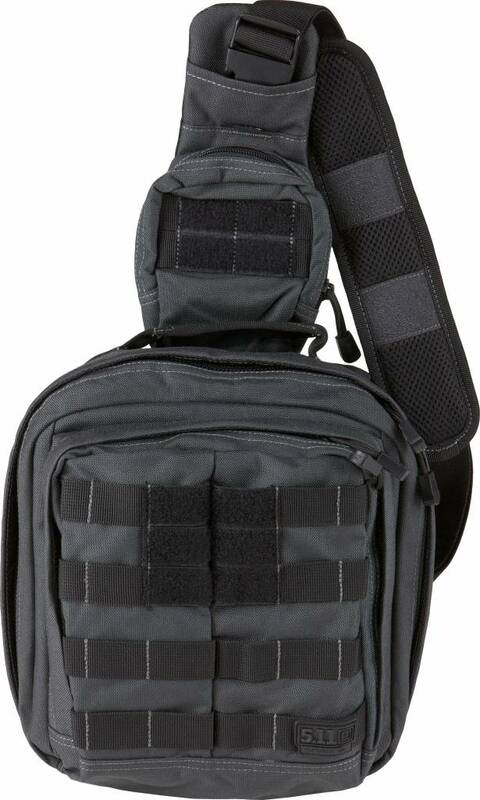 A small sling pack with modular storage expandability, the MOAB 6 can act as a tactical pack, a grab-and-go bag, or a quick and easy shoulder pack for school or travel. 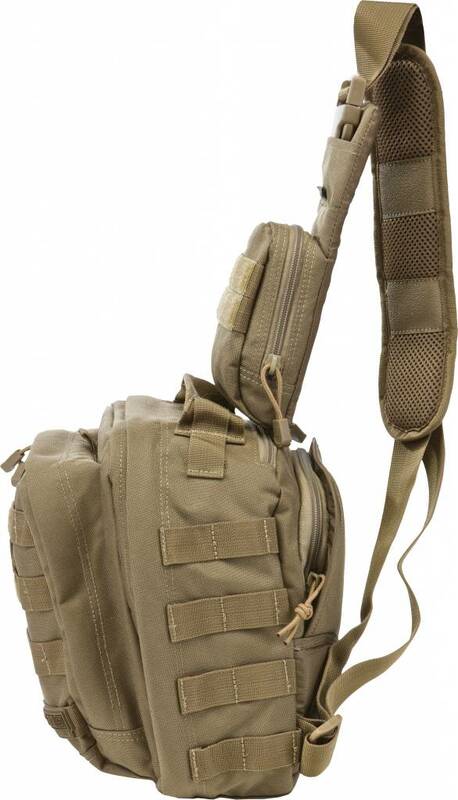 The ambidextrous padded strap is fully adjustable, while a tech pocket at the shoulder holds a phone or iPod and provides pass-through access for headphones. 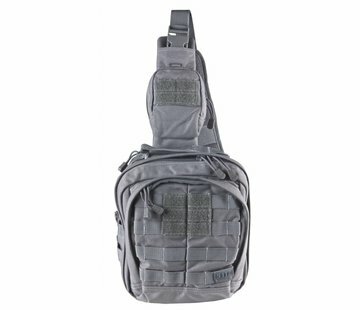 A quick stash pocket at the rear offers covert storage, and an internal water bottle pocket helps you stay hydrated. 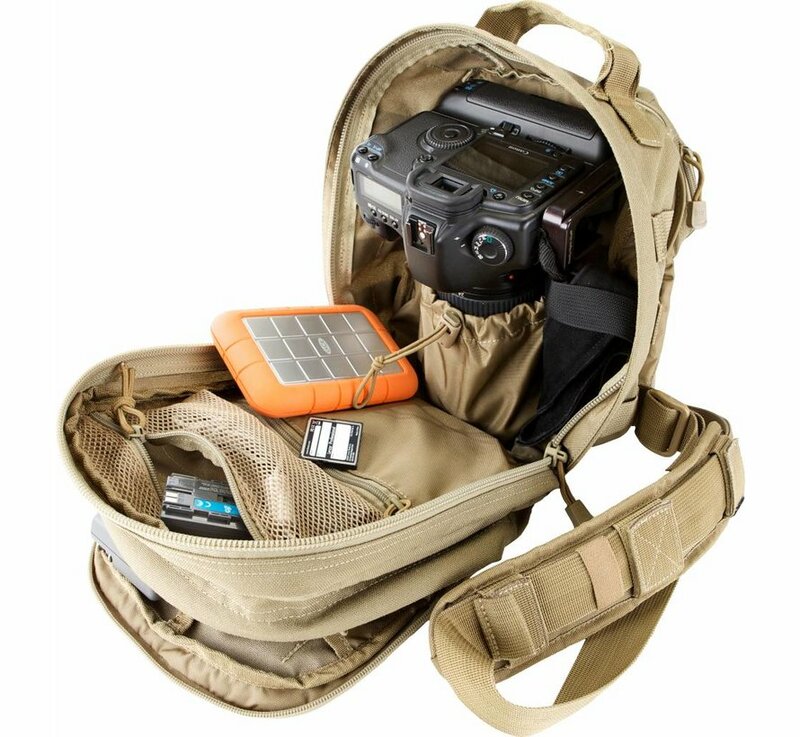 The interior storage area is roomy and organized, and a MOLLE/SlickStick™ web lining around the exterior allows you to personalize your storage options. 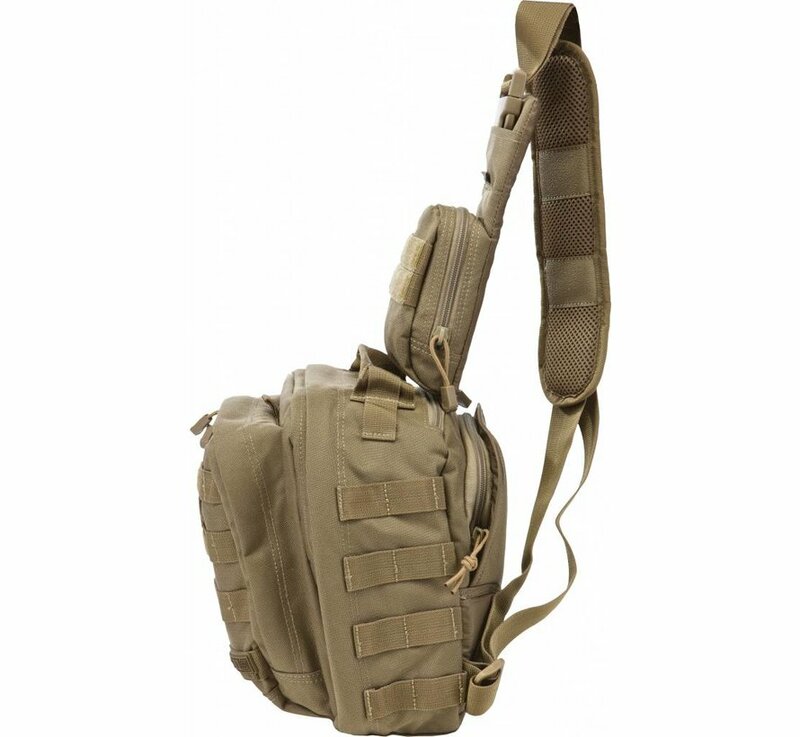 When you need more than a single small MOLLE sling pack, the MOAB 6 comes equipped with the 5.11 Tier System, allowing you to integrate with other RUSH series bags.